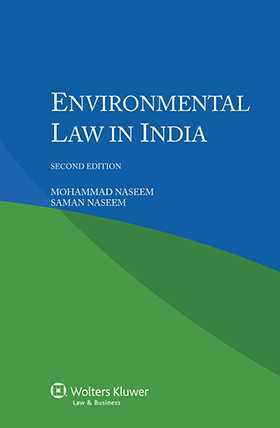 Derived from the renowned multi-volume International Encyclopaedia of Laws, this book provides ready access to legislation and practice concerning the environment in India. A general introduction covers geographic considerations, political, social and cultural aspects of environmental study, the sources and principles of environmental law, environmental legislation, and the role of public authorities. The main body of the book deals first with laws aimed directly at protecting the environment from pollution in specific areas such as air, water, waste, soil, noise, and radiation. Then, a section on nature and conservation management covers protection of natural and cultural resources such as monuments, landscapes, parks and reserves, wildlife, agriculture, forests, fish, subsoil, and minerals. Further treatment includes the application of zoning and land-use planning, rules on liability, and administrative and judicial remedies to environmental issues. There is also an analysis of the impact of international and regional legislation and treaties on environmental regulation. Its succinct yet scholarly nature, as well as the practical quality of the information it provides, make this book a valuable resource for environmental lawyers handling cases affecting India. Academics and researchers, as well as business investors and the various international organizations in the field, will welcome this very useful guide, and will appreciate its value in the study of comparative environmental law and policy. Chapter 2. Basic Principles of Environmental Law. Chapter 4. The Role of Government Institutions in the Shaping and Administration of Environmental Law and Policy. Chapter 5. Sources of Environmental Law. Chapter 8. Radiation and Vibrations (Nuclear and Non-nuclear). Part II. Nature Conservation and Management. Chapter 1. Legislation in the Field of Conservation and Management and Shortcomings. Chapter 2. Pressures on Natural Resources. Chapter 3. Monuments and Landscapes. Chapter 4. Parks and Reserves. Chapter 9. Subsoil and Minerals. Part III. Zoning and Land Use Planning. Chapter 2. Urban and Rural Zoning. Chapter 3. Statutory Structure and Legal Regime. Chapter 4. Land Use Planning. Chapter 9. Environmentally Sensitive Zones and Industrial Sites. Chapter 1. Liability Under Environmental Legislation. Chapter 2. Liability under Criminal Law. Chapter 3. Substantive Rules of Liability. Chapter 4. Duty to Preserve for Future Generations. Chapter 5. Balance between Development, Planning and Environment. Part V. Juridical Actions of Individuals. Chapter 2. The Criminal Procedure Code (CrPC). Chapter 3. Actions Prescribed under Specific Legislation. Chapter 4. Access of Citizens to Apex Courts.